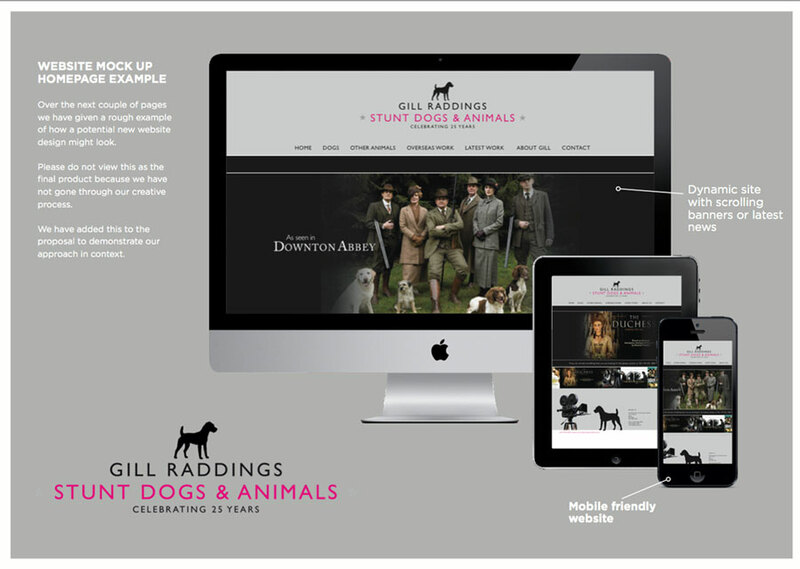 We were approached to pitch for the re-design of a website that offers Dogs and animals for film and TV. 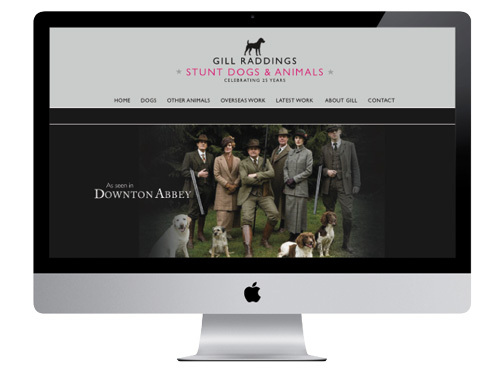 The old Gill Raddings Stunt Dogs site was over 10 years old and needed a complete makeover. We pitched a cleaner look more in line with a movie star casting website – this is what we came up with that won the work. About Gill Raddings Stunt Dogs..
We have been established for 20 years and can supply a complete service from pre-production planning and advice, risk assessment, sourcing animals where needed and training to specialist script requirements. Full insurance cover is provided.